The New Hall Military Museum showcases the role of the Army, Navy, and Marines in the American Revolution and early American history through military memorabilia including weapons, uniforms, battle flags, and more. The New Hall Military Museum showcases the role of the Army, Navy, and Marines in the American Revolution and early American history through military memorabilia including weapons, uniforms, battle flags, and more. 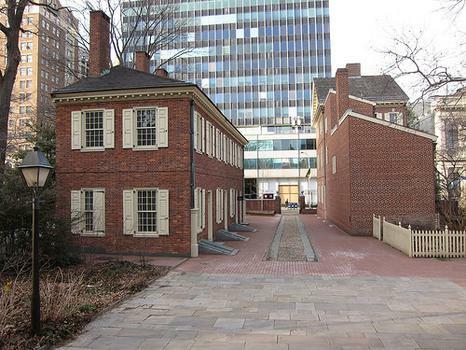 The building is a reconstruction of one built in the 1790s that housed the office of the first Secretary of the Army.